West Indies have come out of their shell ahead of the limited-overs leg of their Bangladesh tour, as they posted a daunting total of 338 runs against the BCB XI at BKSP. The Caribbean side was dominant from the start, losing their first wicket after crossing the 100-run mark. Opener Kieran Powell got out scoring 43 runs as Nazmul Islam earned the Bangladeshi team a breakthrough. The other opener, Shai Hope, shared another 58-run stand with Darren Bravo, strengthening the foundation laid by the opening stand. 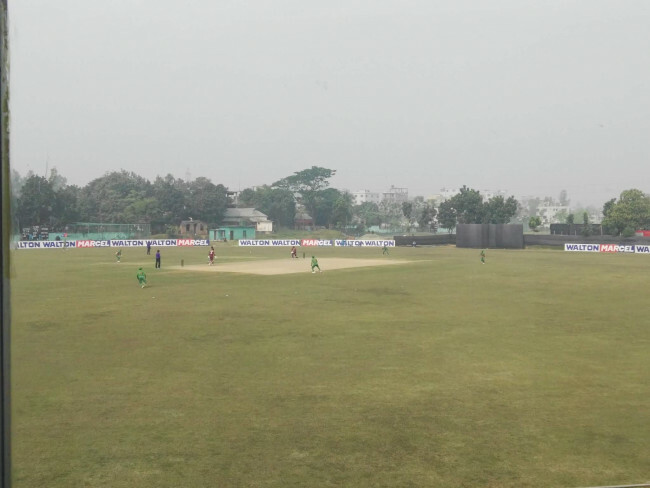 Mehedi Hasan Rana broke the partnership by removing Bravo for 24 runs shortly before Nazmul struck once again to send Shai Hope back to the hut for 81 runs. Shimron Hetmeyer, Fabian Allen, and Roston Chase then added some quick runs, while Marlon Samuels Rovman Powell failed to make any impact. Chase made a well-struck 65 not out, sharing two vital stand with Allen and Hetmeyer, both of whom were dismissed by Rubel Hossain. Allen clubbed 48 runs, hitting eight fours and on over-boundary. West Indies also lost the wicket of Keemo Paul, as Mehedi took his tally of wickets to two. Mashrafe Mortaza and uncapped Shamim Patwari took one wicket each in the 50-over game.